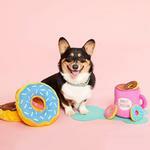 Dogs will be filled with excitement for hours with the ZippyPaws Burrow Dog Toy Coffee and Donutz! Dogs love to bury their noses in the Zippy Burrow to dig out the critters. They’ll be begging you to put them back in the Burrow again and again for hours of fun! 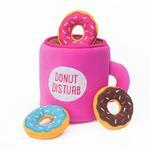 This interactive hide-and-seek toy comes with one Coffee cup and 3 small donutz. Posted On 03/11/19 by Ronda from , OH Yes, Ronda recommends this product! 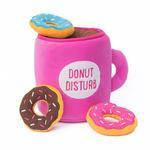 The mug and each donut has been a huge hit with Paisley. Even though the mug is about half her length and a bit taller than her (Chihuahua), she's more than able to get the donuts out easily. 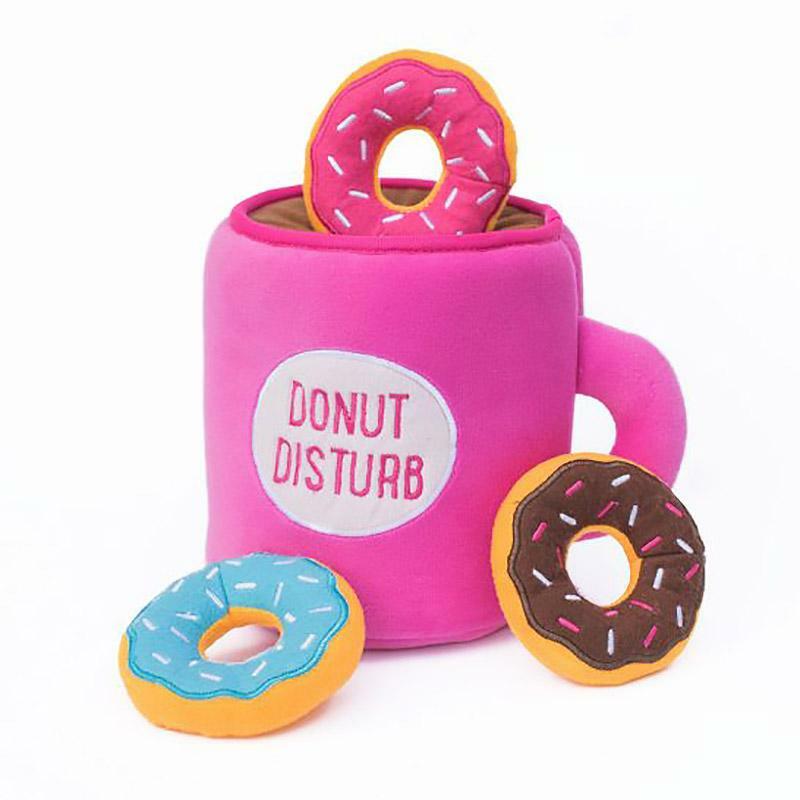 The donuts are a perfect play size for her (each one with a squeaker) and when she's not playing with them, she has a blast using the handle to ferociously shake the mug or simply smashing it down with her paws/digging. One thing I love about these hide and seek toys is the ability to break it up and have it in two places ... I kept 2 of the donuts with the mug in the main living area where she mostly plays and put the 3rd donut in her playpen located on the other level of the house for her to play with during the times we're out of the house (which prevents us from having to lug toys up and down all the time). The chat box allowed me to have questions answered, which was very helpful. Unfortunately many of my choices were sold out in the size I needed.